This report will help you understand what products you need to order in advance so you do not run out and lose sales. You have two option on how to use this report depending on your business process. This report is designed to be viewed 1 warehouse at a time, but you can select multiple warehouses, in this case, we add/combine all the values for those warehouse per product. The length of time you want your new order of stock to last, default to 4 weeks, but you can adjust to your needs. 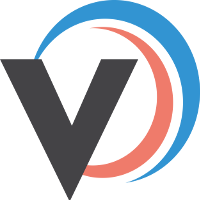 Set a value in days per supplier per product and Veeqo will factor this in when working our your stock requirements. Order stock for orders which are waiting on stock. When ON this will adjust “Suggested Qty” to add these. This qty is calculated by the number of product which are UNALLOCATED in orders with status WAITING FOR STOCK. Optional. If enabled then Veeqo will cap the order qty to the "max" amount set for the product in that warehouse. Veeqo suggests the qty to order based on the minimum stock level you have set per product per the warehouse. The suggested qty is the Re-order qty you have set per product per the warehouse. Physical stock qty minus allocated. No of days sell out = stock available / daily sell out rate. Qty of product which are UNALLOCATED in orders with status WAITING FOR STOCK. If you prefer to set fix "minimum stock qty" rather than a forecast based on previous sales, then you should set a min/max/reorder qty per product per warehouse by finding the product and adjusting this qty in the app. This is currently under development and will be released in the near future.